Marcantonio Designs was in need of a website redesign and approached me with a list of objectives that the new website needed to accomplish. The redesign needed to be modern and user friendly. 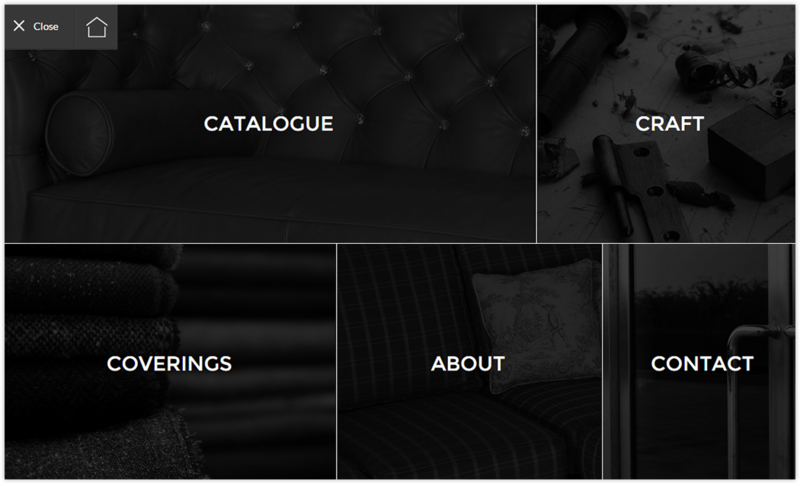 An easy way to browse through collections of high-end and hand-crafted furniture needed to be created. 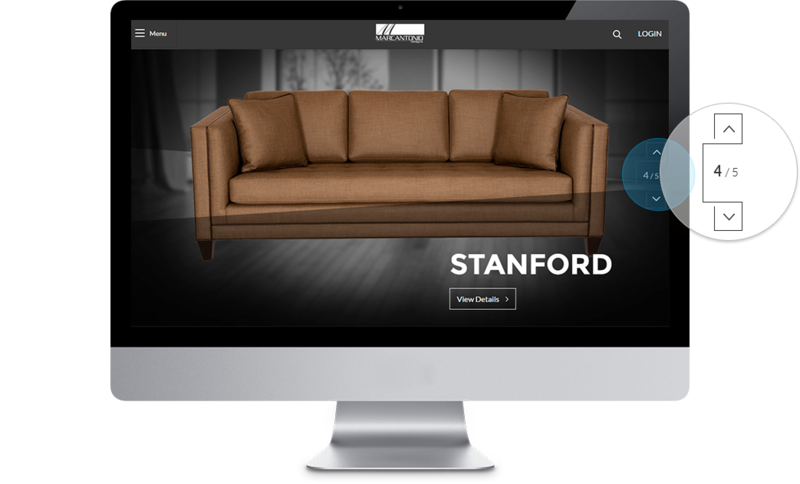 In order to increase accessibility to Marcantonio Designs’ private re-sellers, the new website needed to be responsive, fast and light. The user interface needed to be easy to comprehend. Getting from product to product without having to go backwards was a primary goal. 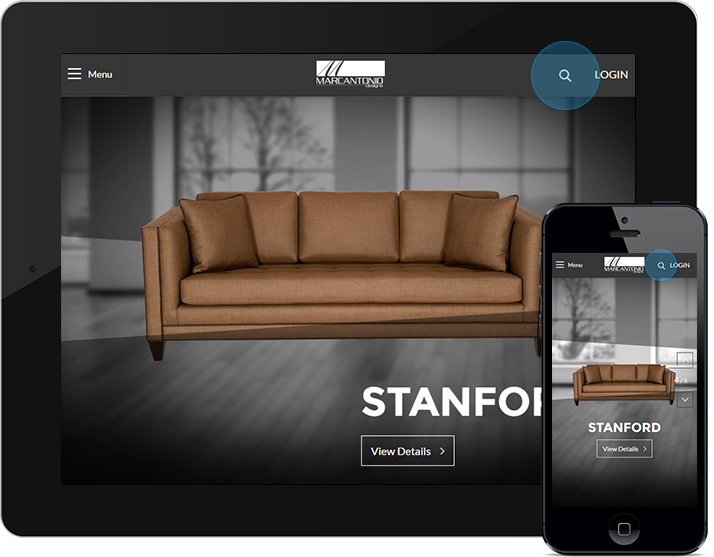 The new Marcantonio Designs website would be light on copy and the main focus would be photos of the furniture. Wanting to bring something unique to the home page, I treated it as one big interactive carousel. However, it wasn’t your typical carousel. I designed a controller that stayed fix to the right of the screen. This controller allowed visitors to pan up or down through products which Marcantonio Designs chose to feature. Although visitors had this controller made available to them, the carousel was also put on a timer so that products would scroll up and down on their own. The products were fairly large in size so that visitors got a sense of detail that went into all of Marcantonio Designs’ craftsmanship. Marcantonio Designs releases a new collection every year that includes many sofas, ottomans, beds, and chairs. 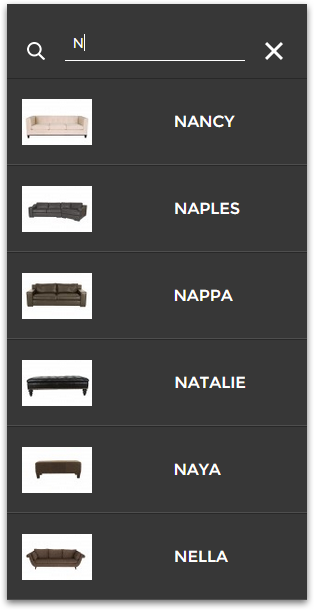 The new collection will always be easy to find as it has its own category in the catalog. However, re-sellers would still need to find their old favourites quickly and easily. In the top right corner of every page was a search icon. Clicking the search icon would bring out a side bar that filtered results as visitors typed. Wanting to bring in an element that had some edginess to it, the main navigation would act as an element that complimented the modern and unique styles you could find in Marcantonio Designs’ furniture. I designed a full screen take-over menu that would be activated by clicking the main menu icon located at the top left of every page. Menu items would take up a different amount of space and on hover or touch, sub-menu items would appear in that space. The center piece of the new website would be the catalog area. 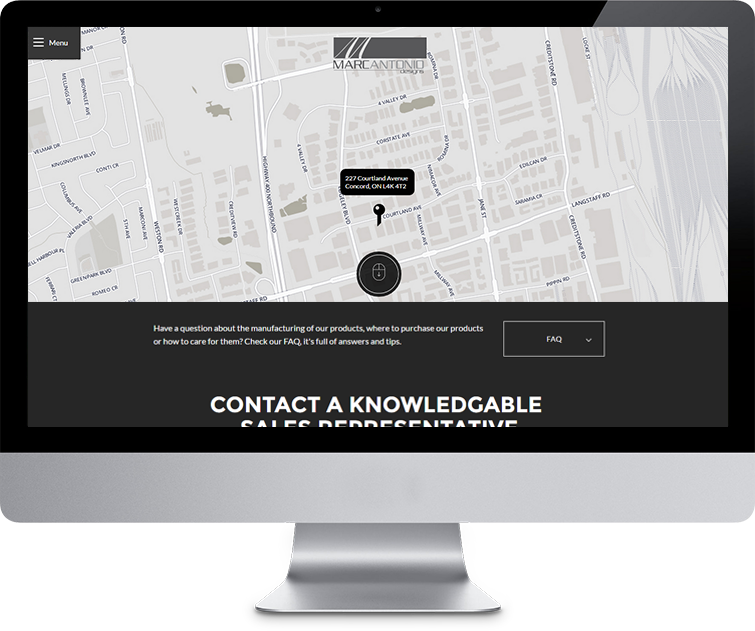 It was designed to be extremely easy to navigate. 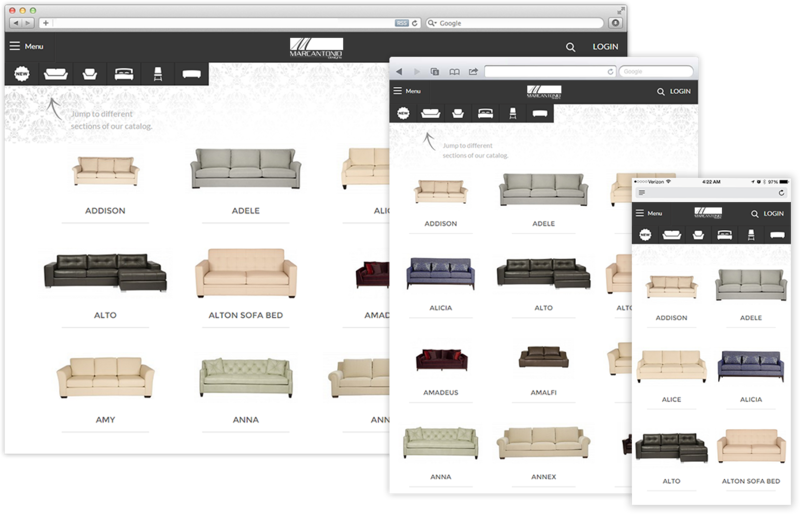 Visitors could filter and find products quickly, and the catalog was designed to be optimized across all devices. Once visitors had selected a product to view, they were brought to the product overview page. Creating a great user experience for viewing products was important. The interface allowed visitors to move forward with viewing other products, rather than making them go back to make their next selection. To accomplish this, a drawer was designed that would hide under the main header and slide out whenever the visitor selected one of the six categories; new items, sofa collections, chairs, beds, dining chairs, or ottomans. In this drawer visitors could continue to browse products just as they would on the main catalog page. The remaining interior pages of the new Marcantonio Designs website organized content and information by breaking it down into small sections while maximizing white space. 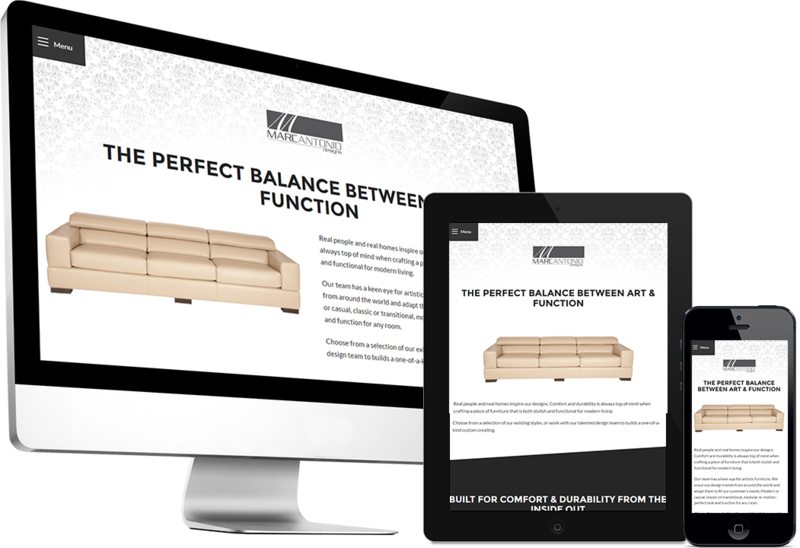 Myself and Andrew decided to give life to some page’s elements by using parallax scrolling. It gave the website an attractive appeal. While visitors read information and scrolled through content, some examples of actions that occurred were photos of sofas unfolded, and photos of tools would slide in at various points. Video was also used on the ‘Craft’ page as a background to enhance the page.